While you’re at it, also read My Cow Game Extracted Your Facebook Data. Insert pithy statement about closing the stable door after the horse has bolted here. 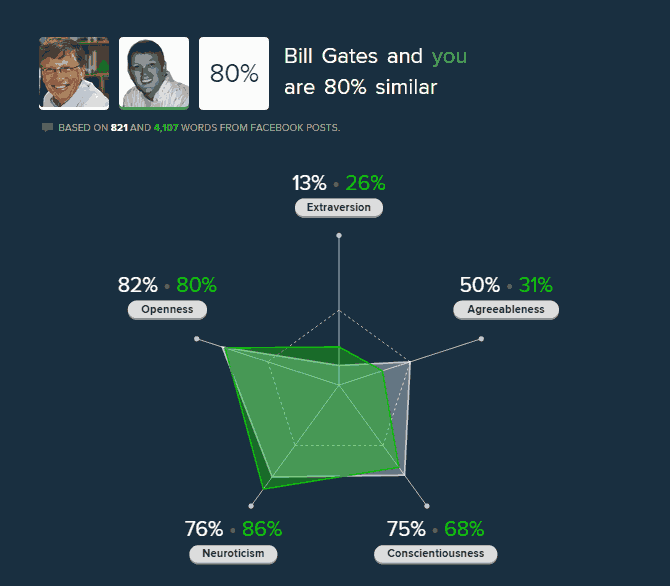 Maybe you’d like to let Five Labs analyze your personality. Or maybe you already have. Did you agree with the results? MIT Technology Review mentioned the Friendship Paradox, in which, due to outliers and “the topology of networks,” your friends on average have more friends than you do. The article goes on to suggest that your friends probably are more wealthy and happy, too. 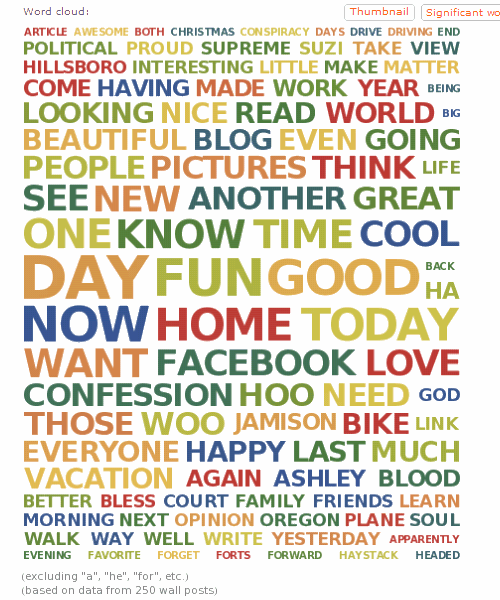 I was curious to see how my Facebook friends’ friend counts measured up. My Facebook friends average 434 friends.1 Only 67% of my FB friends have less than that many friends, so the article could be false for 33% of my FB friends (including me). This also explains my two previous posts. 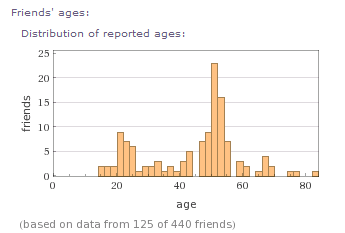 WolframAlpha has analyzed the personal analytics of those who donated their Facebook data to W|A. Today, they posted some of the results on their blog. 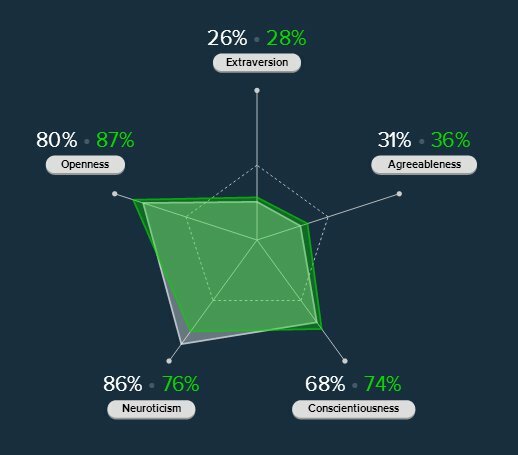 Curious to see how I compare, here are a selected few results from my analytics. 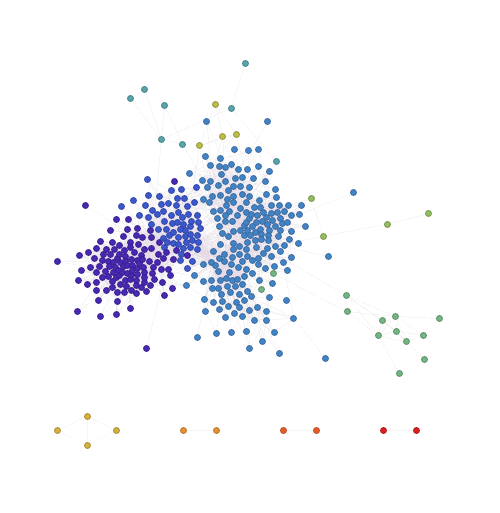 Again, my Facebook friends’ ages match typical for the sample data, exhibiting the double humps centered around my age and my kids’ ages. It’s nice to see some friends to the far right. A reminder for my friends on Facebook. Image credit: “If it’s on the internet, it isn’t private” by DonkeyHotey. Used under a Creative Commons license. Doesn’t FB realize that is far easier for a user to opt-out of a feed by unliking a brand/person/page that has done a poor job of communication than it is to mess with all the account settings or for them to try to tweak their algorithm all the time to try to guess what people want?